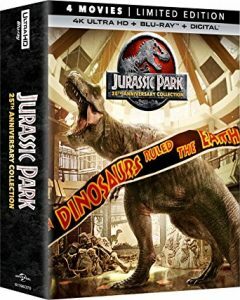 On Amazon right now you can get the popular Jurassic Park 25th Anniversary 8-Disc Collection [Blu-ray] for just $34.99! This is a 56% savings and it will ship free. This box set would make a great gift.